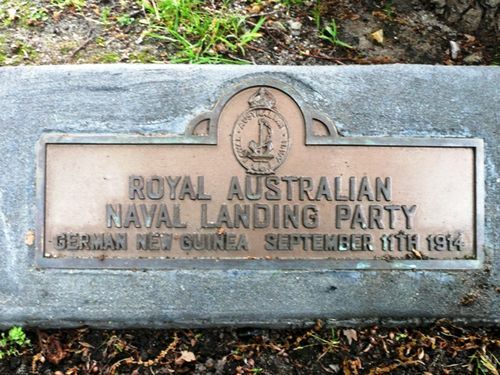 Two plaques commemorate the Landing Party of the Royal Australian Navy in German New Guinea during World War One. During the first week of the war, an Australian naval and military expeditionary force of 1,500 men was mobilised with orders to capture and occupy Germany's New Guinea colonies. The first landing was made by a small party of naval reservists near Rabaul on September 11, 1914.